No matter what you call it, February 14 is always either welcomed or dreaded every time it comes around. I mean, we can choose not to honor it at all and celebrate these other things instead: One Billion Rising (a global campaign to end violence against women), Singles Awareness Day (the anti-Valentine’s) or my personal favorite, doubling up on self-love. But what’s up with this Hallmark-manufactured holiday that has pervaded our culture so predominantly? Is it just a perk of capitalism or is it really an honest-to-goodness celebration of love beyond the flowers, chocolates and fancy dinners? Like it or not, there’s something about Valentine’s Day that induces a wellspring of well-meaning and well-intentioned actions. I went to my local grocery store last night to pick up a bunch of ingredients for a recipe and lo and behold — a section of the store was filled with red balloons, ornate flower arrangements and a queue of men/dads/uncles with something in hand. More than the material expressions of love, I think there’s actually more to the holiday than gifts or anything else. And it dawned on me: what it comes down to is a primal need for intimate and authentic connections with the people around us. Love has, quite unfairly, come to be associated with being happy. However, it is also one of the most reliable routes to misery. We tend to treat our sadness individually, as if it were unique and shameful. But, as this book explains, there are some solid reasons why love should be highly sorrowful at times. The good news is that, by understanding our romantic troubles and griefs, seeing them in their proper context and appreciating their prevalence, we will cease to feel so alone and so cursed. This essay is not a study in despair; it is a guide to a more consoling, humane, and in its own way, joyful perspective on the complexities of love. No matter what you do thought, make sure this day is yours and spend it the way you see fit, honoring what feels true and authentic to you. Trust Green Apple, a local bookstore which has been my go-to for a decade now, to hand you the next best read just when you needed it. Right there on the corner of a long table of bargain books was Lauren Groff’s Fates and Furies (Amazon | Indiebound) at $7.95. Of course I had to get it. And what a wonderful decision it was to walk away from the bookstore, holding between my calloused brown fingers a world I was about to submerge in, the world of Lancelot “Lotto” Satterwhite and Mathilde Yoder. I usually balk, roll my eyes, make a face at the mention (even hint) of “chick lit.” Aka beach reads. Aka “light lit” that to this day, I’m still challenging exactly what it comprises of. To be fair though, someone gifted me with Elizabeth Gilbert’s Eat, Pray, Love (Amazon | Indiebound) after I’ve repeatedly ignored it or walked past it on shelves and ended up loving it. Absolutely loving it, no matter how problematic it was. But this was no chick lit as I had originally assumed. I was also slightly comforted by the “National Book Award Finalist” sticker on the cover because I have so much trust in Lisa Lucas. Fortune Smiles (Amazon | Indiebound) by Adam Johnson won that year. A unity, marriage, made of discrete parts. Lotto was loud and full of light; Mathilde, quiet, watchful. Fates and Furies is the story of Lotto and Mathilde’s marriage, told from both their viewpoints. Fates is Lotto’s side while Furies is Mathilde’s. The novel begins with quite possibly the most tender scenes I’ve ever read, just a few moments right after the couple gets married and each is lost in his or her own thoughts. On the beach, the ocean all to themselves. And then it pans out to Lotto’s childhood — from how his parents met, his youth and the eventual death of his gentle giant of a father, Gawain. After his father’s untimely death, Lotto plunges within himself straight into a dark, deep well. This is where I first started to root for him and his happiness. He began to live for the sand, the beer, the drugs; he stole his mother’s painkillers to share. His sorrow for losing father went vague during the day, though at night he still woke weeping. It was through his friends, particularly Chollie (who reminded him of his father) and through Mathilde that he was able to feel at home, with himself again. Throughout the first part of the book, it’s easy to be enamored of Lotto just like how every girl in their world seemed to be. From his days in college to his newfound fame as a playwright later on, his was a character that enchanted and captivated you. I don’t know if it’s his profound loneliness that made you want to empathize with him, but even at his lowest he was lovable. His father’s death had been so sudden, forty-six, too young; and all Lotto wanted was to close his eyes and find his father there, to put his head on his father’s chest and smell him and hear the warm thumpings of his heart. Was that so much to ask? My parents got back from the Philippines last week, after spending two blissful weeks in the homeland. Every time they go for a visit, they always come back electric and full of life. Along with that renewed zest is also a tinge of melancholy, written in their faces as they slowly readjust to life back in the States. I hug both of them and smell the sweet scents of home. But because homesickness also has a physical element, it wouldn’t be a homecoming for Filipinos without balikbayan boxes. My parents had four of those boxes which contained gifts and goods from the country: dried mangoes, polvoron (plain and chocolate ones), specialty dried herring in mason jars, “French” corned beef, candies from sari-sari stores we used to buy as kids (Mik Mik, Haw Haw, Hi-Ho), lengua de gato (butter oats), 3-in-1 coffee mixes, garlic peanuts, special tamarind candy, delicacies from Baguio (chocolate marshmallows, chocolate flakes) and more. I think my sisters, our relatives, family friends and I have enough goodies to tide us over until the next wave of homesickness hits. We can always eat our feelings. While munching on one of the Pan de San Nicolas my dad absolutely adores, my mom handed me another package wrapped in plastic. I think they secretly waited until I ate some of the “heritage cookie” specially made in our province (Pampanga), which bears an embossed image of the St. Nicholas on the biscuit itself. My parents are unhappily aware of my Buddhist beliefs, gravely disappointed by my spiritual choices after having gone to a Catholic school for 14 years. Word has it that it has a “curative effect,” to be eaten while saying a prayer. I felt bad after literally biting the head off one. The first two books were from my dear cousin back home, Ate Tet, and the last book was something that caught my dad’s eye. I mentioned that I wanted these two books unavailable in the U.S. and sure enough, my family came through with my request. I first heard about the poet after watching a spoken word piece that went viral. I’ve always loved spoken word artists — Kai Davis, Aja Monet, Saul Williams; and I’ve always admired Filipino poets — Bienvenido Lumbera, Joi Barrios, Jose Garcia Villa. It was a breathtaking experience to see both Tagalog and spoken word combined, to witness Severo’s work. The depth of his poems and the conviction of his delivery tugs at the heart. It was like being granted permission to access those parts of us we didn’t even know existed. And to top it all off — I’m an undoubtedly big fan of a Filipino teleserye called “On The Wings of Love” which featured the poet and his work consistently. Law school is quite easy. It’s like a stroll in the park. Pero Jurassic Park. The next book Stupid is Forever by this renowned politician in the country is “a collection of jokes, one-liners, pick-up lines, comebacks and speeches delivered and/or curated by the beloved Senator.” I’ve always looked up to MDS even as a kid, as I watched her on TV deliver impassioned speeches in Congress, in awe of her intellect and outspokenness. She ran for president during the most recent election season in the Philippines and lost, the frailty of her health a huge concern. I don’t care if I burn in hell as long as the people I serve will live in paradise. I can only surmise that Senyora is alluding to Hacienda Luisita, owned by the former President Aquino’s family, a site of decade-long struggle and resistance of the farmers against their landlords. These three books in no means capture the state of Philippine society as a whole, but they draw a picture of popular culture that is reflective of different parts of Filipino society. I’ve always trusted books more than television, finding poets and writers more credible (even while they’re making jokes!). I’ll be spending the next few weeks immersed in these three literary pieces of which I will duly be reporting back and writing about in this blog. Now that’s what you call healing. The French novelist Marcel Proust would’ve turned 146 years old on July 10th, and Lithub gathered six writers in this article to talk about his genius. 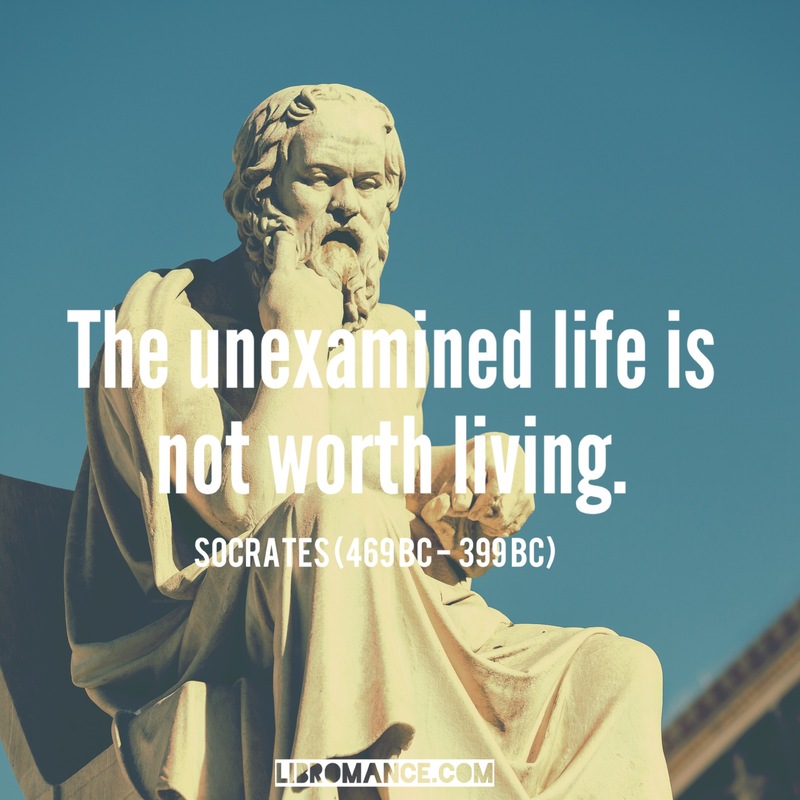 I first heard about the writer from Alain de Botton’s book How Proust Can Change Your Life, which was a compendium of ways of looking and living life, in true Proustian style. Most of the writers on the Lithub piece talked about Proust’s book In Search of Lost Time: Swann’s Way, of which I have an illustrated copy of. de Botton reveled in this book, in spite of its format (with sentences that don’t seem to let you breathe) because just like what other writers have found it: “reading Proust is like reading oneself.” I need to get started with my own copy soon. When I want to restore my faith in literature, I read Proust. July 12th on the other hand marks the Chilean poet Pablo Neruda’s 112th birthday. Neruda’s legacy is carried forth by poets, writers and romantics alike, as his poems imbue our lives with wonder and an appreciation for things we overlook. I once marveled at a collection of odes: to socks, onions, apples, salt. Two things I love most about him: he was a Communist and an infinite lover of saltwater. Last but not the least, another cause for literary celebration: Yaa Gyasi’s Homegoing is a 2016 First Novel Prize finalist at the Center for Fiction! I recently finished the book and wrote about its significance, using the lens of historical fiction to understand the movement for black lives. Good luck, Ms. Gyasi! …is a lot of romanticism. It’s in the movies we watch, the books we read, the music we listen to. From Disney “Princess” films to books and movies inspired by Nicholas Sparks, the irresistible charm of romance permeates our culture. It’s the nostalgia of the fairy tale, it is its allure that keeps us affirming star-crossed lovers (Shakespeare’s Romeo & Juliet to Meyer’s Edward & Bella). We talk of love in its highest regard in romantic relationships — the chocolates and the flowers, the grand gestures, the undying affection that has taken over and shaped how our society at large sees relationships. We are enchanted by that initial “spark” and eventually find ourselves looking how to recapture it (as in, Rekindling the Romance: 9 Secrets to Keeping the Spark…). The love stories we see and hear about are really only the beginning of those relationships, Alain de Botton argues, in his new book The Course of Love. What happens after the proposal, followed by the wedding, are the lives of two people bound not by romance alone but by the humbling reality of living with another person. Peso, dollar, time. As a Filipino teenager who migrated to the U.S. in the early 2000’s, my understanding of currency has always been mangled. I always used to marvel at the peso-dollar rate when I was still in the Philippines, not knowing the economic implications of how a dollar is worth fifty times more than the peso. The dollar was pervasive in the country, with thousands leaving its borders for better opportunities abroad. As I got older, I had to wrap my head around the intangible currency of time. Of how one can buy, spend or invest time in something or on someone; how it can be measured, and of what so little or a lot of it equates to. And how people are increasingly in favor of this intangible currency versus its tangible form on paper. 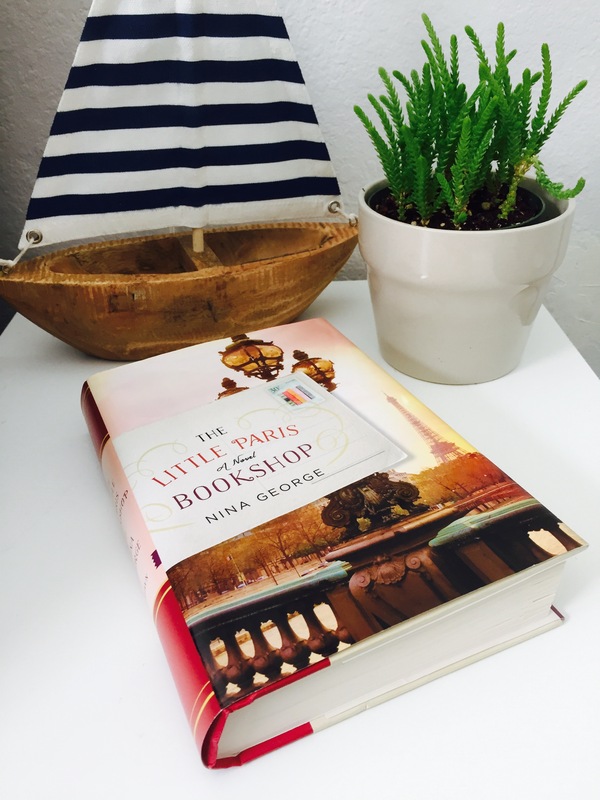 I wasn’t really thinking about these things until I started reading Nina George’s debut novel, The Little Paris Bookshop. Jean Perdu, the main character, owns a bookshop called the Literary Apothecary which rests atop the Seine River in Paris. The Literary Apothecary is a floating book barge filled with numerous titles, comfy chairs, cats (Kafka and Lindgren) wherein you can come in with an ailment (mostly of the heart) and sure enough, come out with a title that promises of a cure. One of my favorite things in the book was Perdu’s process for compiling what he called his “Encyclopedia of Emotions for Literary Pharmacists”: A for ‘Anxiety about picking up hitchikers’, E for ‘Early risers’ smugness’ and Z for ‘Zealous toe concealment, or the fear that the sight of your feet might destroy someone’s love for you.’ It reinforces the way that words are able to capture emotions so succinctly and in this case, quite literally.